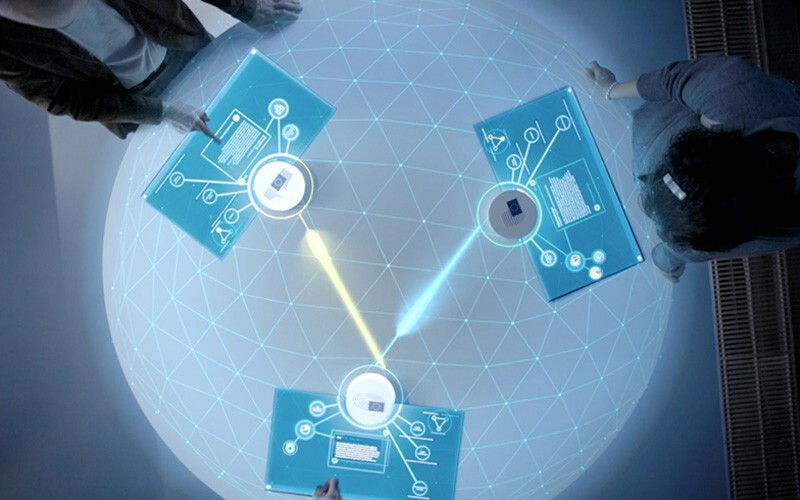 „SPACE is the interactive unit of MARKENFILM in Hamburg. Stronger than time: the G-Class is a timeless class of its own. Timeless design, timeless style, preserved in its DNA over decades. 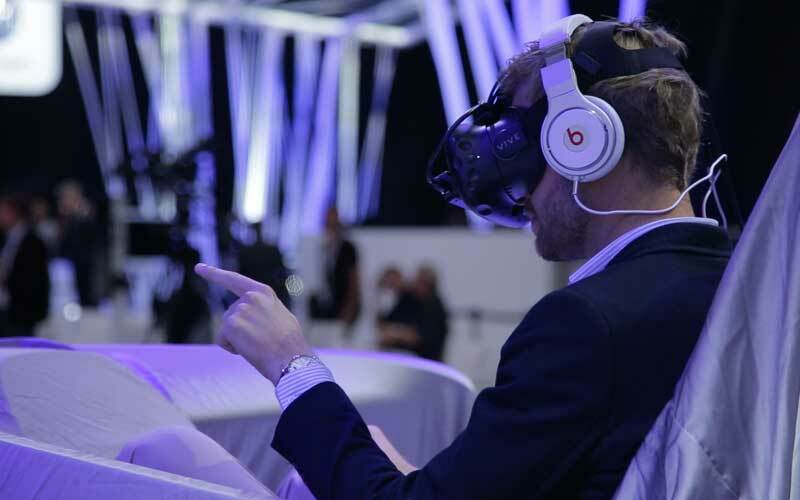 In an immersive installation, users can explore the show car exterior, learn about its features and functionality in an interactive way, and even virtually test-drive the car with its autonomous drive logic. „United in Diversity“ — how Europe is shaped by its citizens and the European Parliament. A multimedia exhibition outlining how EU policy affects our everyday life. How to make the invisible visible? 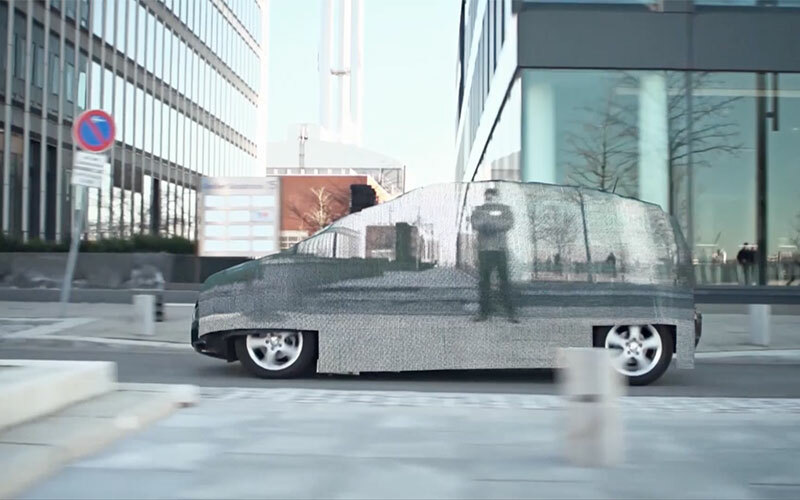 — We created a car that is invisible to its environment and went viral. 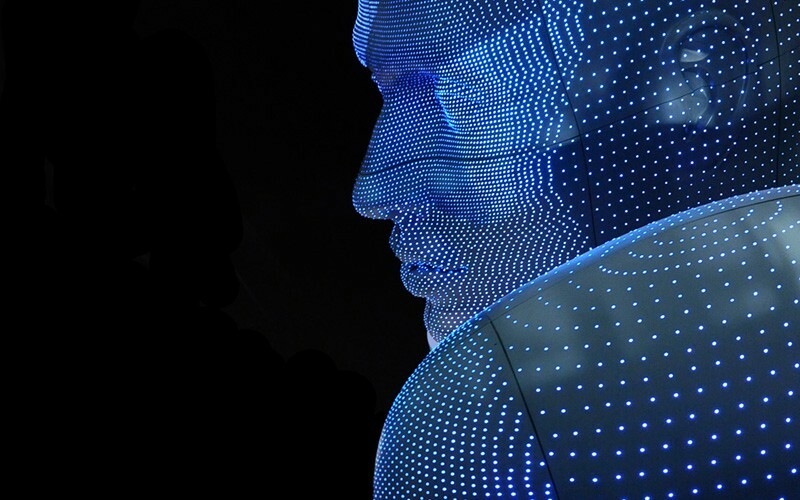 Giant head sculptured, fully equipped with LEDs. For Swiss Re, on a world tour from London, New York to Beijing.